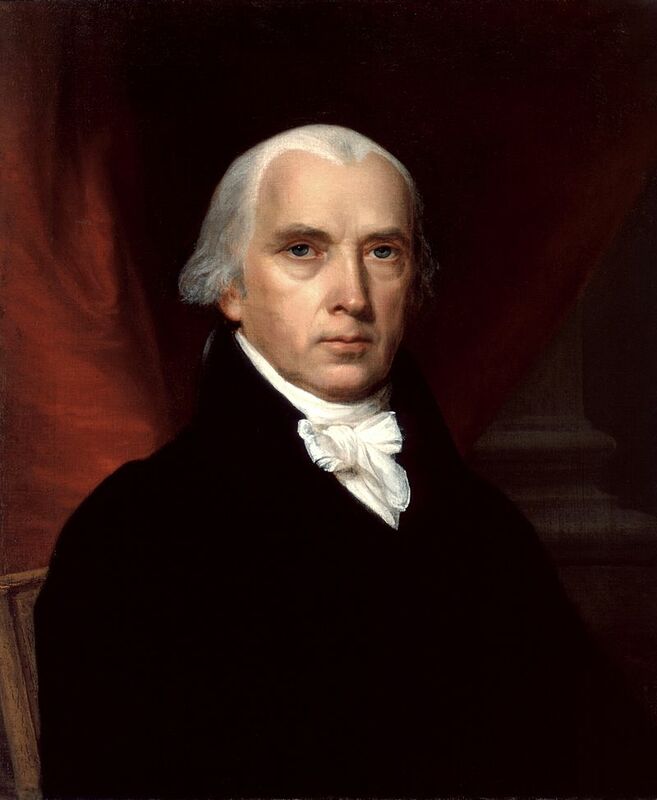 Madison may be the least well-known of the founding fathers of the United States. He was, however, a key creator of the Constitution and, with Alexander Hamilton and John Jay, wrote The Federalist Papers, which were indispensable in securing ratification of the document. In the House of Representatives (under that new Constitution), Madison sponsored the Bill of Rights. A junior colleague of Thomas Jefferson, he served as his secretary of state and was instrumental in the Louisiana Purchase. His presidency (1809-1817) was marred by the War of 1812, during which Washington, D.C. was burned by the British, forcing Madison and his wife, Dolley, to flee.